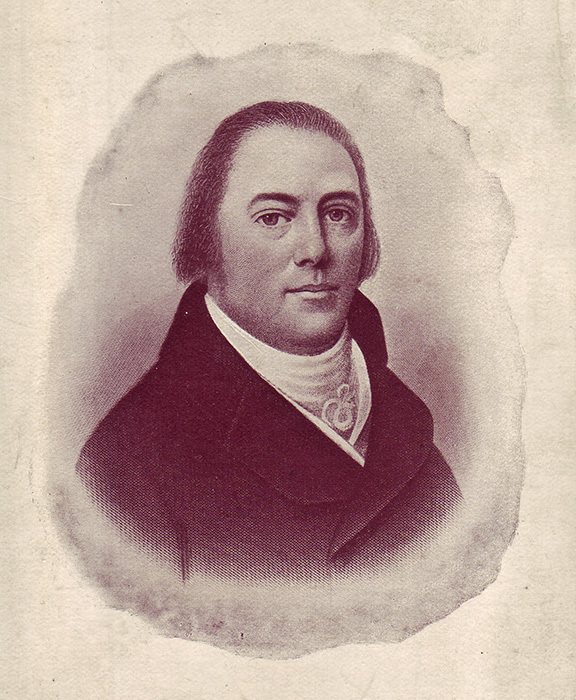 Ephraim Kirby (1757-1804) was a soldier in the Revolutionary War and a Connecticut politician. In 1804, Pres. Thomas Jefferson appointed him as a judge in St. Stephens, Washington County, the capital of what was then the Mississippi Territory. He is thus credited as the first Alabama judge but died soon after his appointment of an illness, possibly yellow fever.